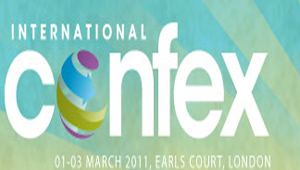 International Confex 2011 will have a new-look floorplan following a decision by organiser UBM Live to merge the show's UK and overseas destinations. The exhibition, due to take place from 1-3 March at Earls Court, will have only three designated show areas as opposed to five. International venues, destinations and travel will merge with UK venues and destinations plus the London Area to form a single ‘Location’ zone. The two other zones dedicated to exhibition suppliers and finishing touches will be renamed ‘Logistics’ and ‘Something Special’. The restructure, which also includes the introduction of a floating networking bar to the centre of the show floor, a luxury spa area and a European pavilion, comes as UBM Live look to simplify visitor navigation at the three-day event. International Confex director, Alison Willis said: "Visitors need us to raise the bar on engagement and creativity, which will in turn get exhibitors to raise it higher." Other changes include investment in the hosted buyer programme to accommodate 250 delegates following high demand for places when it was introduced at the 2010 show. Show days will also be dedicated to particular sectors with specific educational content and will include a PA & Corporate Day and an Association Day.